It's been a tumultuous, shocking, and frightening few days for the University of Missouri, where passionate activism has successfully ousted both the college's president, Tim Wolfe, who resigned on Monday, and chancellor R. Bowen Loftin, who will be stepping down into a new role with the school at the start of next year. But there's one more faculty member who's out of a job too, even though she wasn't a target of the protests. 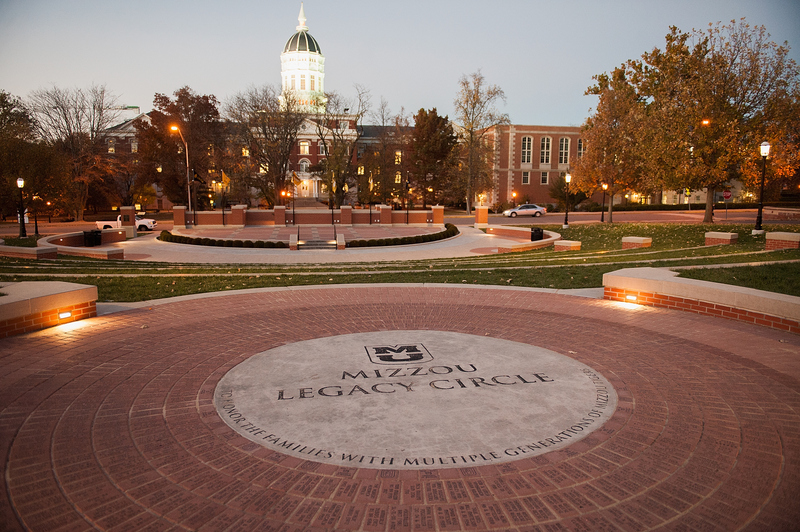 So who is Melissa Click, the embattled Mizzou communications professor? If you've been following this story, odds are you heard about Click at some point. She's the faculty member who was caught on camera requesting "muscle" to "help me get this reporter out of here," in reference to student journalist Mark Schierbecker. It was a moment made all the more inappropriate by the fact that Click served as a courtesy appointment for the university's School of Journalism. Faculty members requesting physical help booting journalists from a public protest is, suffice to say, not how it's supposed to go. Click reportedly resigned her courtesy appointment Tuesday night, and a prior statement from Mizzou dean David Kurpius clarifies that she never had an active role teaching journalism at the school. ... Also, for clarification, Assistant Professor Melissa Click, featured in several videos confronting journalists, is not a faculty member in the Missouri School of Journalism. She is a member of the MU Department of Communication in the College of Arts and Science. In that capacity she holds a courtesy appointment with the School of Journalism. Journalism School faculty members are taking immediate action to review that appointment. Click, according to the Columbia Missourian, taught mass media in the school's Communication Department. That's separate from the School of Journalism, and Click never taught there — the "courtesy appointment" simply means that she was approved to review the theses of journalism students. She wasn't actually a journalism professor. Yesterday was an historic day at MU — full of emotion and confusion. I have reviewed and reflected upon the video of me that is circulating, and have written this statement to offer both apology and context for my actions. I have reached out to the journalists involved to offer my sincere apologies and to express regret over my actions. I regret the language and strategies I used, and sincerely apologize to the MU campus community, and journalists at large, for my behavior, and also for the way my actions have shifted attention away from the students’ campaign for justice. I never had ill will toward her and I felt bad when I heard she’d been getting threats. I think this has been a learning experience for everyone involved, myself included, and I hope this blows over for both of us. As far as Click's safety goes, The Times reports that Kurpius and University of Missouri law enforcement are aware of the threats against her, and have tightened campus security as a result. There was also a lockdown at the school's Black Cultural Center yesterday as a result of a racist shooting threat made on the social media app YikYak — a suspect has since been arrested in connection to that threat.